As the first wave of pioneers travel westward to settle the American frontier, two women discover their inner strength when their lives are irrevocably changed by the hardship of the wild west. Spanning the years of the first great settlement of the West, The Removes tells the intertwining stories of fifteen-year-old Anne Cummins, frontierswoman Libbie Custer, and Libbie's husband, the Civil War hero George Armstrong Custer. When Anne survives a surprise attack on her family's homestead, she is thrust into a difficult life she never anticipated - living among the Cheyenne as both a captive and, eventually, a member of the tribe. Libbie, too, is thrown into a brutal, unexpected life when she marries Custer. They move to the territories with the U.S. Army, where Libbie is challenged daily and her worldview expanded: the pampered daughter of a small-town judge, she transforms into a daring camp follower. But when what Anne and Libbie have come to know - self-reliance, freedom, danger - is suddenly altered through tragedy and loss, they realize how indelibly shaped they are by life on the treacherous, extraordinary American plains. Here are some of the comments posted about The Removes. Anne tells her aunt Lydia that she misses her children. Were you surprised by Lydia's reaction and her advice? Compare attitudes about Custer then and today. In what ways do you think Custer was complicit with our government's treatment of American Indians? In what ways was he a product of his time? Do you sympathize with Custer's difficulty adjusting to an obscure military life postwar? What do you think of his reinvention of himself as an Indian fighter? Do you think anyone in the novel shows great vision? Do you think Golden Buffalo was wise to try to learn the ways of his enemies? Foolish? Is there any way he could have done better to help his people? The Removes will appeal to those who enjoy historical fiction, particularly those interested in America's Old West and the conquering of the frontier. This well-written novel would make a great book group selection as well; Soli's attention to historical detail is a stand-out, and many of the questions she raises about the settling of The Great Plains remain relevant today. (Reviewed by Kim Kovacs). Finely crafted, this moving novel viscerally depicts the brutality of the Westward Expansion and the universal quest for freedom, while reminding readers of the human cost of greed. 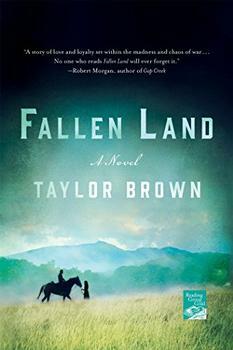 A sober and memorable take on the American West: its opportunities for men to wage war against each other and the land and the devastation the men's ambition wrought upon women's lives. Starred Review. With visceral, vibrant language, Soli paints a stark portrait of the violence, hardship, and struggles that characterized the American West." The Removes is a stunning, vivid portrayal of captivity and freedom, and of wars waged on the landscapes and peoples of the American frontier. Tatjana Soli's writing is so visceral and evocative, one feels transported to that moment when history is forged. At once intimate and sweeping, unflinching and compassionate, The Removes is a magnificent read. Tatjana Soli's The Removes is a rousing, thoroughly engrossing novel of the Indian Wars in the tradition of the best of western fiction....a tale of impeccable verisimilitude that is at once a tightly interwoven narrative and a kaleidoscopic picture of the Indian Wars of the American West. Readers will emerge with a keen appreciation of this tragic American epoch. Tatjana Soli braids a beautiful and harrowing tale of Custer, his wife, and a fifteen-year-old girl held captive out on the western plains. Intimate and panoramic all at once, this is a novel of transformation and self-reliance, a book that powerfully questions what we know of women on the American frontier. The Removes is as beautiful a novel as I've read in some time...Tatjana Soli's writing is spare, lyrical, haunting, and heartbreaking, and countless images from this book will stay with me forever: the harsh majesty of the plains, the 'sheer animal joy' of horses running into battle, and the bravado of Custer's long, meandering march to his ruin. Tatjana Soli weaves a stark western landscape, a national tragedy, and intimate portrayals of two pioneer women into a poignant and powerful tapestry of identity and belonging that will break your heart. I absolutely loved The Removes. Tatjana Soli's The Removes breathes new life into a story I thought I already knew inside out - the tale of George Custer and the Battle of the Little Bighorn, a century-old icon of American history, and exhaustively covered by Evan S. Connell's Son of the Morning Star. Any writer entering these lists must be both bold and strong, and Soli proves herself all that. Soli's new novel focuses on General Custer, the frontier, and the Indian wars. This is a western, but a modern one - beautifully detailed and carefully researched, completely free of the questionable mythologies that sometimes characterize the genre. 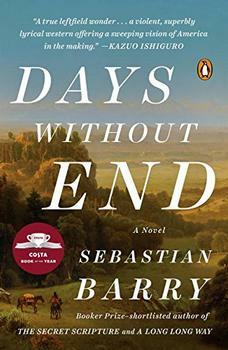 A vivid, sometimes harrowing, but always riveting read. Tatjana Soli's historical fiction novel, The Removes, culminates at Custer's Last Stand, a battle between the U.S. 7th Cavalry and Native American tribes that took place near the Little Bighorn River in Montana in 1876. Sitting Bull was the chief of the entire Sioux nation at the time, and his vision of success over the soldiers spurred his warriors on to victory.